Calcutta is admirably served in the matter of “lungs”, There is no part which is not provided with a park or open space. The pride of Calcutta is its Maidan, an. extensive plain in the heart of the city covering about 1200 acres. The Eden Gardens are situated at the north-west extremity of the Maidan, bounded on the north by Auckland Road and on the west by Strand Road. 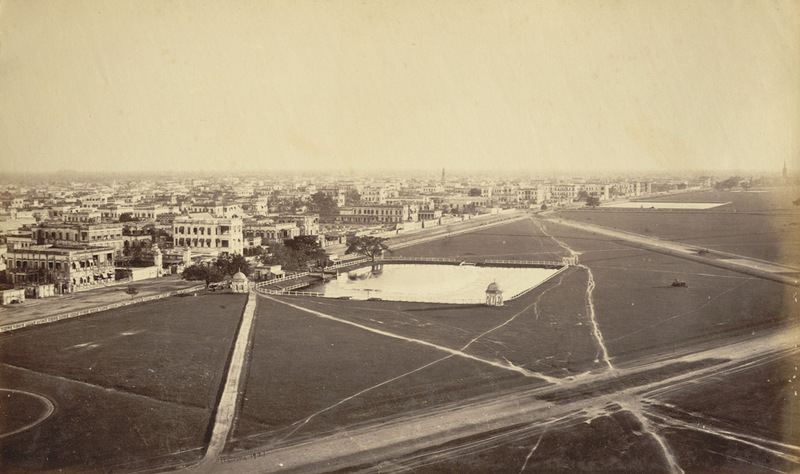 They were laid out in about 1840, around an avenue of trees known as “Respondentia Walk”, then the fashionable promenade of Calcutta society, and named after Lord Auckland’s sisters, the Misses Eden, who designed and directed their general lay-out. There are several gates to the Gardens, but by whichever one the visitor enters, he is led to sylvan surroundings far removed from the noise and bustle of the city. Pathways wind past multi-coloured flower-beds, tropical palms and murmuring fountains, adorned with dolphins and cherubs that add to the beauty of the scene; while rustic benches in shady arbours by the water-side, welcome those who seek rest in this haven of loveliness. 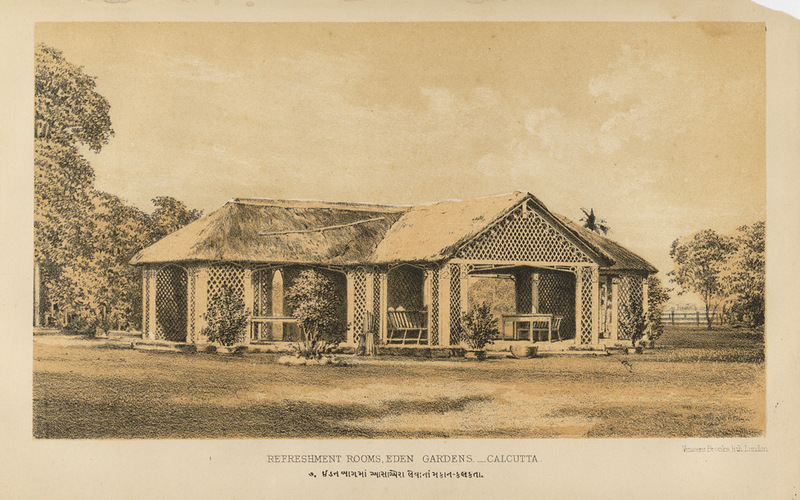 See more What is more, there was a cute garden’s Refreshment Rooms with hatched roof and bamboo wall, as depicted by the artist Alfred Brooks in his painting above. 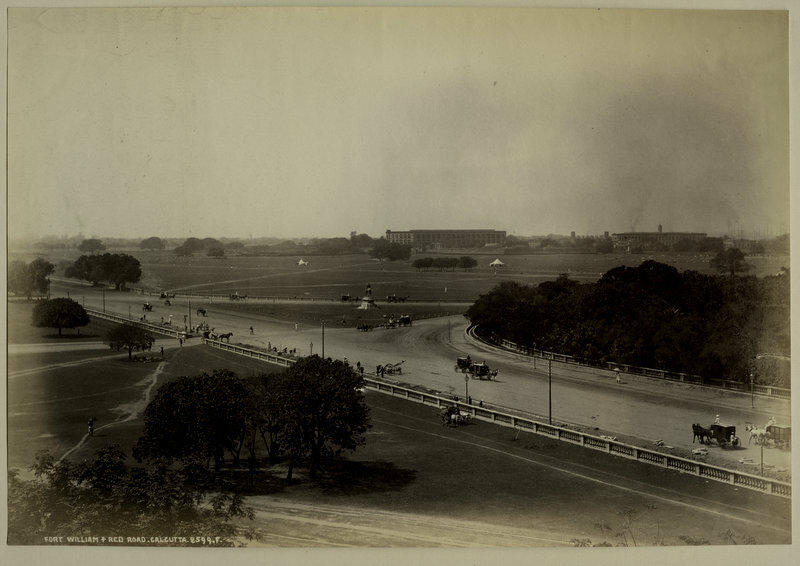 Eden Gardens were formally opened to the public and for many years they were a fashionable evening meeting-place in Calcutta. 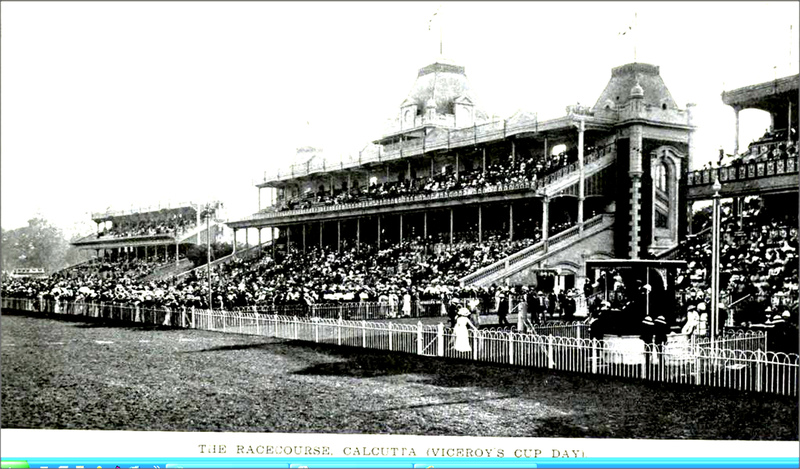 The gardens are also home to the Calcutta Cricket Club. This Band Stand was one of the pretty spots in Eden Gardens, thronged by the evening strollers to listen band music. 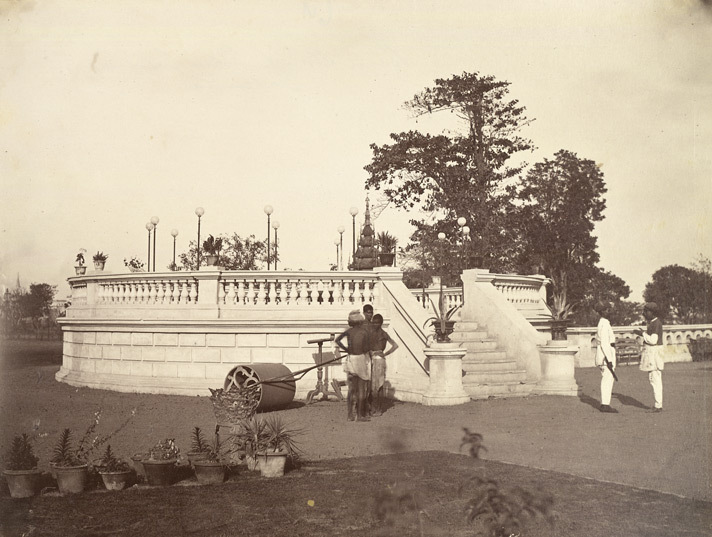 The garden, situated on the north-west corner of the Maidan in Calcutta, was named after Emily and Fanny Eden, the sisters of Lord Auckland (Governor-General of India from 1836-1842), who tended the garden when it formed part of the Governor’s Estate. 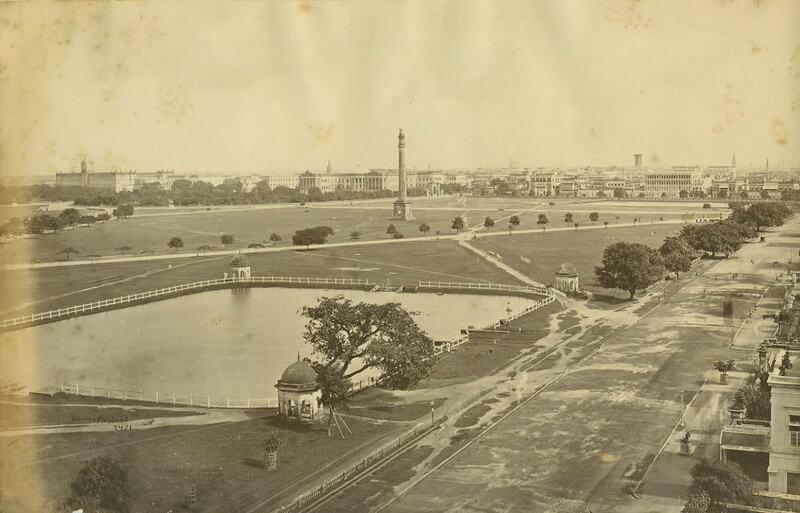 This is a view of northward Chowringhee Road with impressive array of private and public buildings along the side of the wide landscape of Maidan with distinct picture of Monohurdass Tank close to the road.